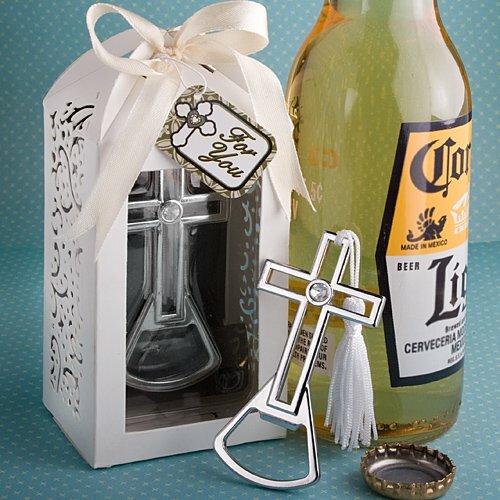 Just imagine the joy on their faces when your guests arrive and see these cross design bottle opener favors, exquisitely presented in our exclusive elegant packaging. We believe that it's what's on the inside AND the outside that makes a favor special. And we think you'll agree that we got both exactly right with this stunning cross favor.